Beautiful brand new 1560 sq/ft, 3 bdr/2 bth, rancher w/ great park views. Features big custom kitchen w/ high-end cabinetry, st/steel appliances, granite's throughout, open floor plan, cathedral ceilings. Tile & laminate flooring, LED lighting, big laundry w/sink. Excessive & extravagant master suite w/ full bath w/dbl sink & walking closet. Central gas heat. 2 car garage w/opener, covered back patio, full privacy fence, RV parking. (Pictures from Identical home available for sale across street). I was searching for a Property and found this listing (MLS® #201823733). Please send me more information regarding 2904 E Bridgeport Ave, Spokane, Washington, 99207. Thank you! 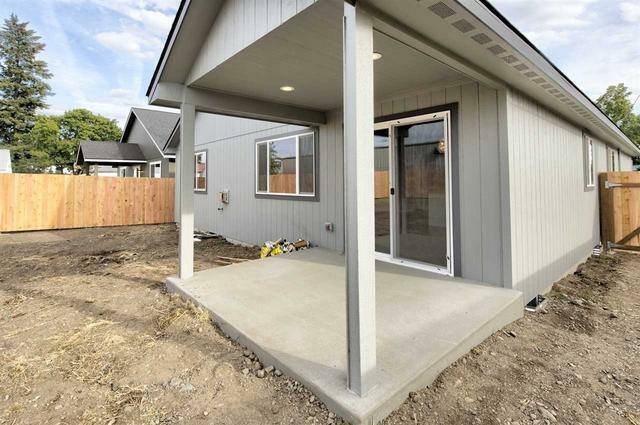 I'd like to request a showing of 2904 E Bridgeport Ave, Spokane, Washington, 99207 (MLS® #201823733). Thank you!